This year, October is the Season of Our Rejoicing in Jerusalem, so get ready to rejoice! This month, we've got a preview of some of the exciting events planned for the holiday of Sukkot in Jerusalem and cool updates at our website. Jerusalem celebrated Rosh Hashana, the Jewish new year, eleven days ago, fasted through Yom Kippur yesterday, and is now gearing up for that most joyful of holidays: Sukkot – zman simchateinu – the season of our rejoicing. Sukkot, often described as the original Thanksgiving holiday, commemorates the Divine Protection enjoyed by the Children of Israel during their wanderings through the desert after the exodus from Egypt. Traditionally, Jews celebrate by building booths in which they eat and sleep for the duration of this week-long holiday. The booths are called sukkot (one sukkah, two sukkot). An assortment of other rituals and tradition embellish the holiday. What is Sukkos really all about? 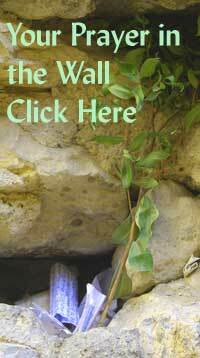 To learn more about this happy holiday, check out this Sukkot Tutorial. In Israel, the entire country is on vacation and in Jerusalem, it feels like everyone takes to the outdoors to party, play and celebrate for a week. The priestly blessing is said every day in Israel (except in the Galilee), but during the intermediate days of Sukkot and Passover, it has become a custom to have a mass priestly gathering bless the enormous crowds at the Western Wall. The thunderous power of this public blessing is simply awe-inspiring. This year, it takes place at the Western Wall on Monday Oct. 5. The Old City will be closed to traffic during Sukkot, so you’ll have to walk – along with what seems like half the country. Morning prayers are scheduled to begin at 8:15 a.m. so expect the Priestly Blessing to take place around 9:00 am and again at about 10:00 a.m.
On Tuesday, Oct 5, Jerusalemites will take to the streets for the Jerusalem March – a parade down the center of town. There will be arts, crafts, live shows, performance artists and children’s activities at Sacher Park to kick off the march, which begins at 10:00 am and lasts until 3:00 pm. If you were planning any other daytime activity on Tuesday – don’t go into town, because most major streets will be closed for the parade. The sukkah at Safra Square is billed as the world’s biggest one. True or not, it is quite an impressive size, and there are lots of activities going on in and around it all week long, including workshops where kids can make their own musical instruments. A simchat beit hashoevah is the ultimate Sukkot party – lots of music and hours of dancing. Almost every synagogue in Jerusalem will be having one. Typically, men dance and women gather to watch. Thanks to Tof Miriam, a non-profit organization that supports Israeli women in the arts, women can also find simchat beit hashoevah events where they can dance, too. These events have become a Sukkos tradition where mothers and daughters, groups of teenagers and grandmas of all political and religious stripes come together to dance and celebrate. There’s nothing quite like these events anywhere else – many women report the Tofa’ah simchat beit hashoevah concerts to be one of their favorite memories of Jerusalem, so – if you’re female – don’t miss this opportunity. For a complete listing of Jerusalem Sukkot events, check the October calendar at Fun in Jerusalem. The latest installment in our continuing series of articles on Jerusalem history is on the Arab-Israeli war and the partition of Palestine. On a more whimsical note, our new section on Jerusalem song examines songs that have featured the Holy City. King David’s Psalms may have been the first to sing the praises of Jerusalem, but the tradition he began continues to this day. We’ve also begun adding restaurant reviews to help you make an informed choice about where to dine. For all those who write in with safety concerns, our new page, Travel to Israel - Is it Safe? should answer most of your questions. If it doesn’t, and you have more questions – feel free to ask us. Please forward our newsletter to your friends. It is published once a month. If you don’t want to miss anything in between newsletters, please subscribe to our RSS feed – that means Really Simple Syndication, and it couldn’t be simpler. Visit our blog and use the orange RSS button in the left-hand column to automatically add the fed to your feed reader. 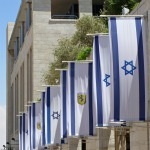 Or, copy and past this link into your feed reader: https://www.jerusalem-insiders-guide.com/Jerusalem.xml. 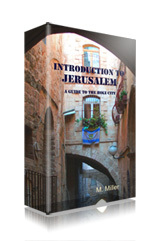 I promise to use it only to send you Jerusalem Insider's Guide News.